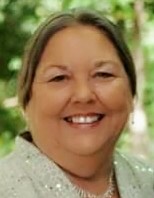 Carla Jean Gregory, 67 passed away on March 27, 2019. She was born in Nashville, TN on March 27, 1952 to the late Douglas and Opal Hallowell. She received her associate’s degree in accounting from Volunteer State Community College. She was a member of Hillcrest Baptist Church in Acworth, GA. Carla enjoyed doing arts and crafts and was an avid reader. Her greatest joy were her grandchildren, they were her world. Carla was preceded in death by her mother, father, brother, John E. Troup; grandparents, Nora E. and John D. Collins. Carla is survived by her loving husband of 50 years, Larry W. Gregory; children, Cindy K. Troxel, Christopher W. Gregory and Melissa J. Parker; grandchildren, Alyssa, Eleanor, Ward and Cameron. A graveside service Saturday, April 13, 2019 at 1:00 p.m. at Crestview Memory Gardens, 1623 Old Highway 109 North, Gallatin, TN 37066. Services entrusted to Aaron and Burney Bivens Funeral Home.